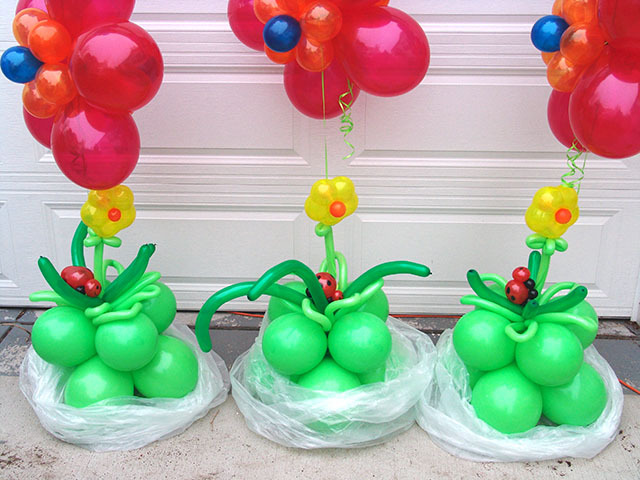 We make all kinds of fun balloon centerpieces! 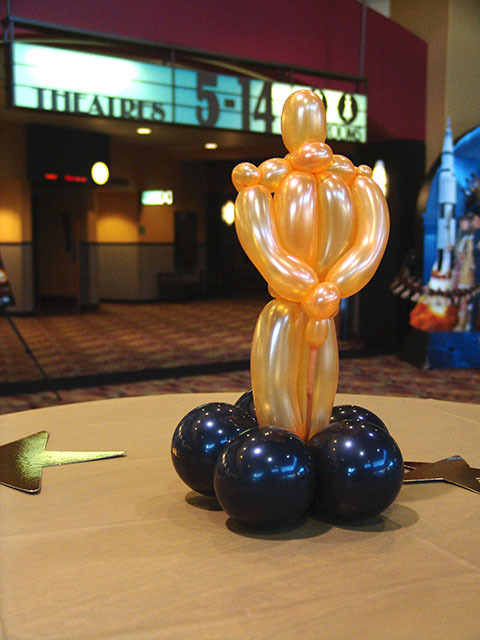 Whether you’re celebrating a birthday party, a wedding, or a corporate awards ceremony, contact us for creative innovative centerpieces! 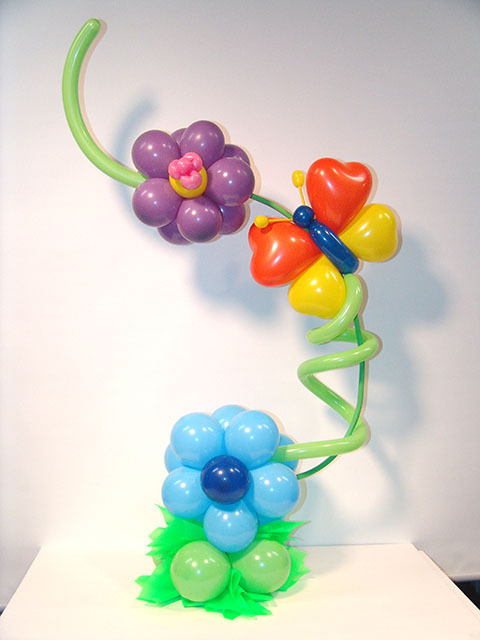 Dress up any event with our new Spring Flower Balloon Theme. 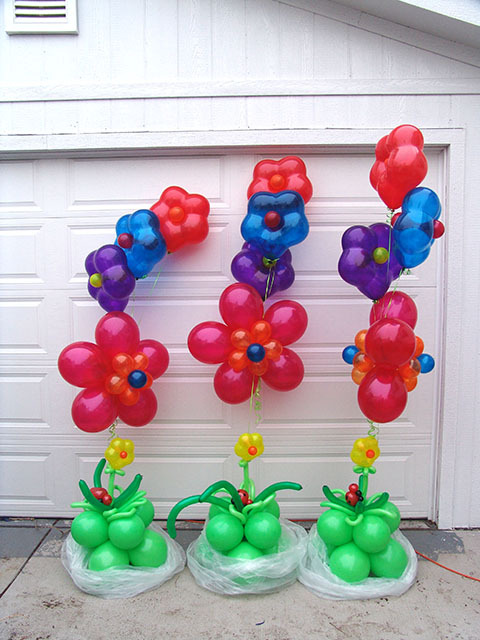 The spring balloon bouquets include small details like lady bugs. 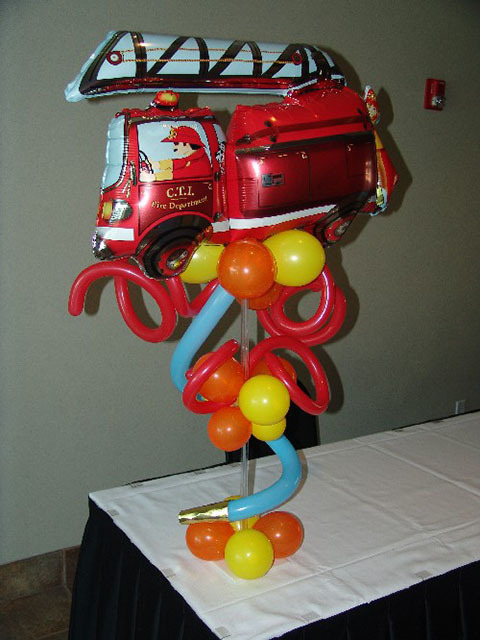 The balloon centerpiece is a one of a kind! 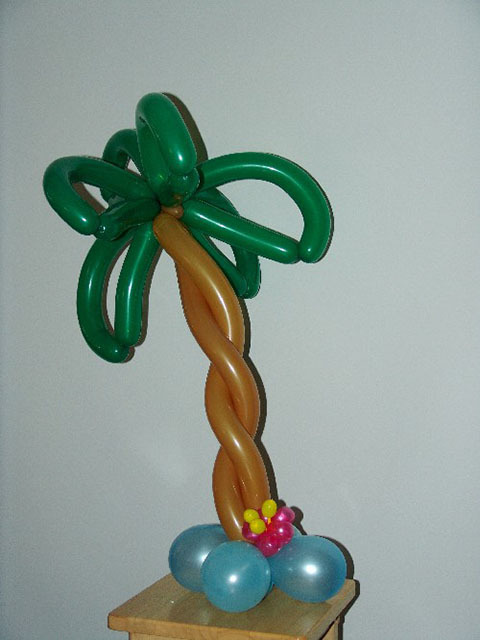 Breathe a fresh breath of spring air and get ready! 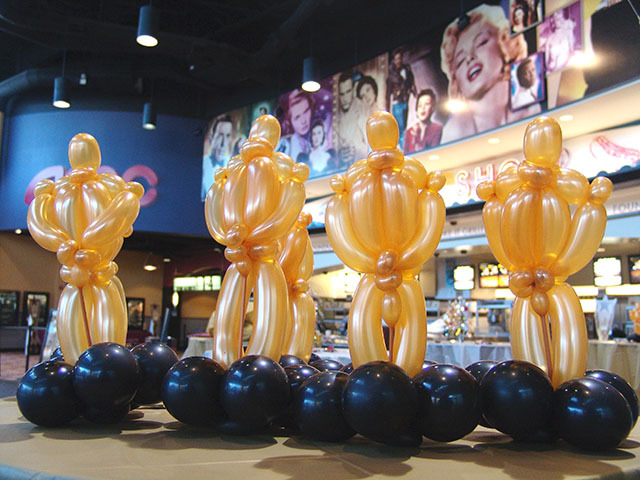 FlatIron Crossing held its annual merchant awards ceremony and had awesome twisted balloon Oscars to decorate the event.